Under the new Supreme Court Rule 719, military spouse attorneys (including those joined to a servicemember via civil union) who (1) are admitted to practice and in good standing in another state, and (2) are residing in Illinois due to military orders, may obtain a license without taking the Illinois bar exam. 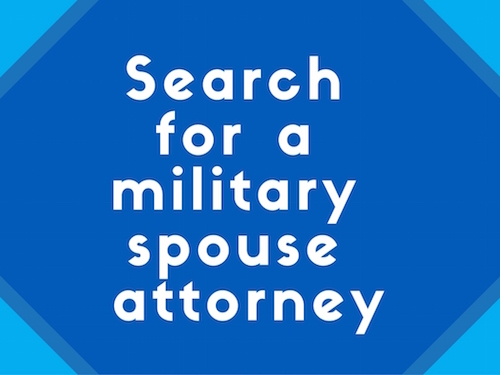 A license granted under the rule lasts for the duration of the military spouse attorney’s service in Illinois. Military spouses may file an application under Rule 719 if they are currently in Illinois, or within six months of the date they will be relocating to the state due to a permanent change of duty station. Rule 719 also waives application fees for military spouse applicants. Frequent transfers are required of most military families. Now Rule 719 permits military spouses to continue to contribute to the legal profession and to support their families while stationed in Illinois. Rule accommodations are needed across the nation, and Illinois is now in the forefront of this effort to improve the well-being of military families, upon whose service our country’s defenses depend. On behalf of MSJDN I would like to send my heartfelt thank you to the Commission and to the Supreme Court for its adoption. MSJDN echoes Angela’s gratitude to the Commission and the Supreme Court for supporting military spouse attorneys. We would also like to thank the entire state rule change team working in Illinois for all of their hard work in achieving this change. For more information about the Military Spouse JD Network, and its state rule change efforts, visit www.msjdn.org. That is great news! I know you all worked tirelessly. Congratulations! Five down, 45 to go!